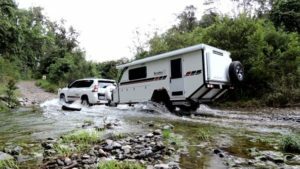 Check out the new 2018 Discovery MK2 14ft off road hybrid Camper showcase video, a complete run through of all the features showing how quick and easy it is to set up and why its Australia’s best 14ft off road hybrid camper. 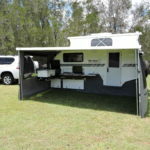 The outdoors lifestyle of a camper trailer combined with all the features of a luxury caravan remote ready and kitted out for extended stays in the outback. 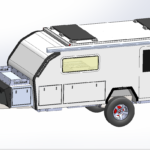 Want to add an extra room onto your hybrid check out the range of custom fitted Rhinomax hybrid annexes. 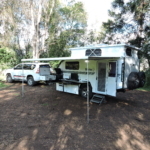 Custom made from quality Australian canvas with midge protecting screens on all windows & doors. 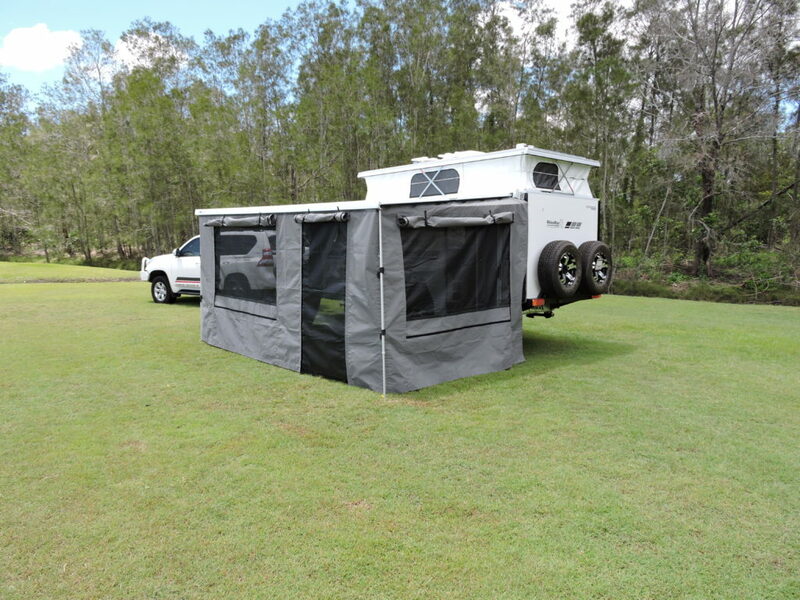 Great for creating an extended base camp for longer stays or ideal as an extra room for the kids to sleep in. 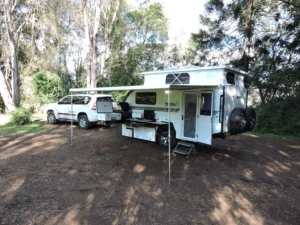 The new Discovery MK2 is now available with twin or triple bunk beds. 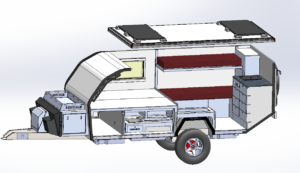 The MK2 can be configured in several ways to accommodate twin or triple bunks. 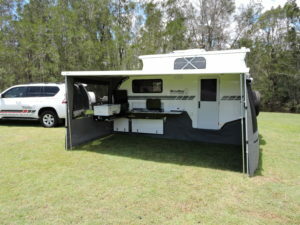 Check Out the new Discovery MK2 at the Brisbane Pre Christmas Caravan Camping show and see what all the fuss is about. 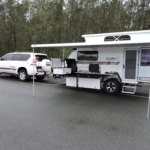 Rated as one of Australia’s best hybrid campers it just ticks all the boxes and its 100% Australian made right here in our factory on the Sunshine Coast Queensland. With a host on new features and extra equipment it will be sure not to disappoint. New improved shower pod, power shower & external ensuite. Upgraded electrical system including Redarc BMS battery management system (lithium compatible) & incorporating a DC to DC charger. 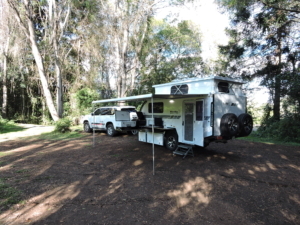 Another great review for Rhinomax Campers from the industry experts. 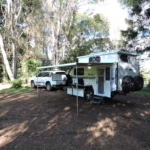 Caravan Camping sales recently reviewed the Defender here is a snapshot of what they said. Typical of Rhinomax, the Defender is a quality newcomer that does many things either better, or cheaper, than its main competition. I’ve been a fan of the way that Rhinomax does things since I first reviewed the Discovery. 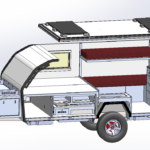 Its expatriated British founders came together with different engineering backgrounds, but brought a fresh vision to the rapidly-expanding hybrid section of the off-road market. 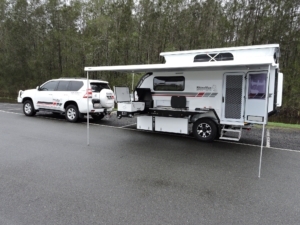 Quick and easy set-up is the name of the game with the Defender: drop down the stabiliser legs, wind out the awning and slide out the kitchen. 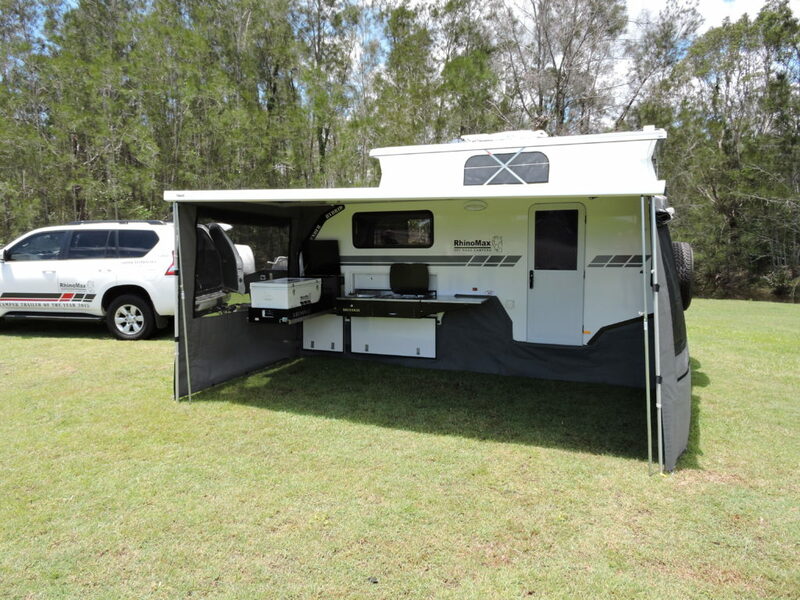 With its automatic push button roof opening you’ll be set up with a glass of wine in your hand in minutes. New user-friendly kitchen layout incorporating cleverly designed slide out fridge compartment with deep pots/pans storage area & large flip over bench. New improved shower pod design which is larger with built in lighting and improved shower head. New improved swing away rear spare wheel holder which now includes an easy option for twin spare wheels if required. Continual improvement is the name of the game at the Rhinomax HQ. 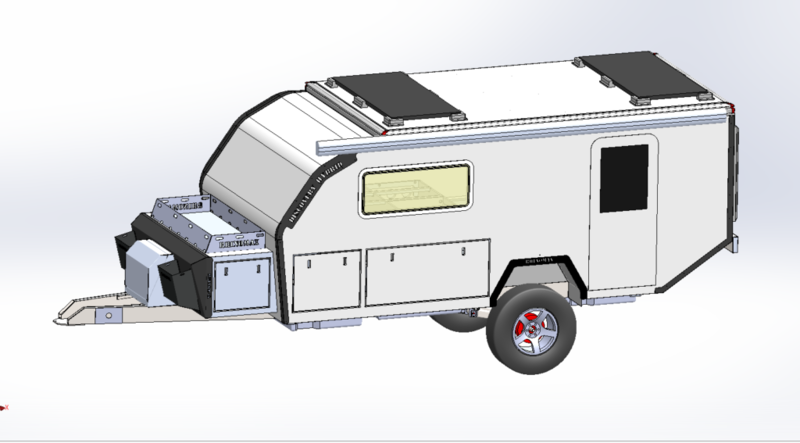 With a new model about to be released and and 2 more in the pipeline our design team has worked hard on implementing a range of improvement’s and has introduced the next level of innovation across all the models. Items that were once classed as extras are now standard fitment. 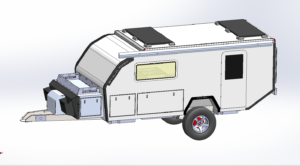 Due to increased costs of raw materials and basic services we will be increasing the cost of all models. From September, the 10th new pricing will come into effect. Anyone wanting to secure one of our models at the current price contact sales before this date. We are now offering the option of the chemical free SOG toilet Ventilation System in the Defender Hybrid. 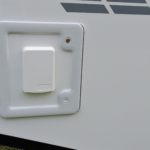 The SOG Toilet Ventilation System is an ecological solution for motorhome and caravan toilets. It is 100% chemical free and 100% odorless. 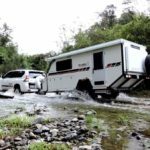 Giving greater flexibility when traveling around Australia as no requirement to use chemicals means you do not have to find a dump point and normal toilets can be used for emptying. Additives are no longer necessary and optimal decomposition is guaranteed by the increased flow of oxygen. 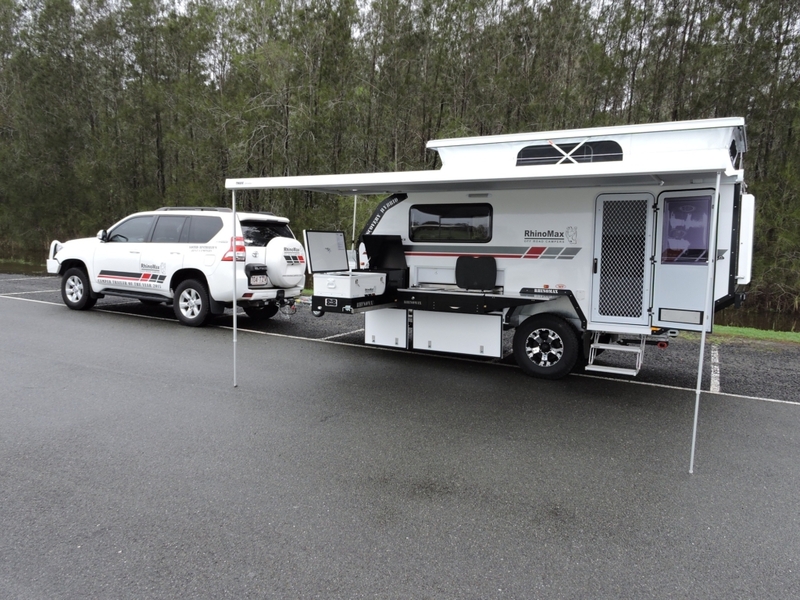 The fast and powerful ventilator immediately removes odours by suction meaning no smells in the camper. The ventilator is switched on as soon as the blade valve starts to open and is switched off again when the blade valve is closed.